A NATIONAL BESTSELLER A New York Times Critics' Top Book of 2017 "This year's best book about family." --Ron Charles, The Washington Post A sweeping, unforgettable novel from The New York Times best-selling author of Maine, about the hope, sacrifice, and love between two sisters and the secret that drives them apart. Nora and Theresa Flynn are twenty-one and seventeen when they leave their small village in Ireland and journey to America. Nora is the responsible sister; she's shy and serious and engaged to a man she isn't sure that she loves. Theresa is gregarious; she is thrilled by their new life in Boston and besotted with the fashionable dresses and dance halls on Dudley Street. But when Theresa ends up pregnant, Nora is forced to come up with a plan--a decision with repercussions they are both far too young to understand. Fifty years later, Nora is the matriarch of a big Catholic family with four grown children: John, a successful, if opportunistic, political consultant; Bridget, quietly preparing to have a baby with her girlfriend; Brian, at loose ends after a failed baseball career; and Patrick, Nora's favorite, the beautiful boy who gives her no end of heartache. Estranged from her sister, Theresa is a cloistered nun, living in an abbey in rural Vermont. Until, after decades of silence, a sudden death forces Nora and Theresa to confront the choices they made so long ago. A graceful, supremely moving novel from one of our most beloved writers, Saints for All Occasions explores the fascinating, funny, and sometimes achingly sad ways a secret at the heart of one family both breaks them and binds them together. "A blockbuster...An engrossing family drama with feisty humor and transformative tough love." 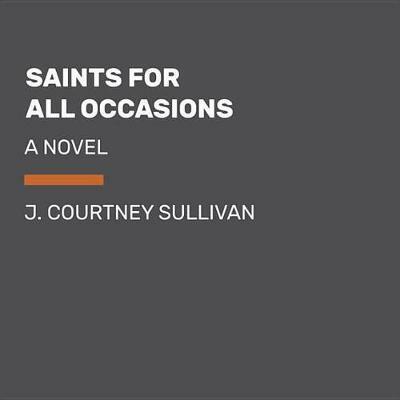 --Elle "I hope to read another novel as strong and wise and beautiful and heartbreaking as J. Courtney Sullivan's Saints for All Occasions this year, but I'm not sure I will." J. COURTNEY SULLIVAN is the New York Times best-selling author of the novels The Engagements, Maine, and Commencement. Maine was named a 2011 Time magazine Best Book of the Year and a Washington Post Notable Book. The Engagements was one of People Magazine's Top Ten Books of 2013 and an Irish Times Best Book of the Year, and has been translated into seventeen languages. She has contributed to The New York Times Book Review, the Chicago Tribune, New York magazine, Elle, Glamour, Allure, Real Simple, and O: The Oprah Magazine, among many other publications. She lives in Brooklyn, New York. From the Hardcover edition.